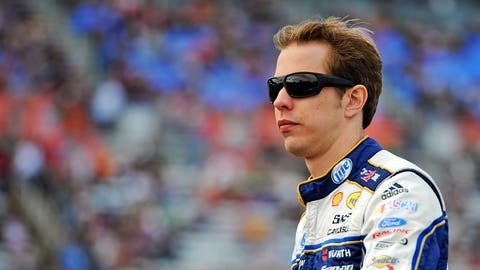 Brad Keselowski missed the Chase last season after winning the Sprint Cup title in 2012. An industry-leading provider of heavy duty truck parts for the commercial transportation industry, Alliance Truck Parts will also be a prominent associate sponsor on the No. 2 throughout season. "Team Penske has built a terrific relationship with Alliance Truck Parts and we look forward to having them join us in the Cup series this season," said team owner Roger Penske. "This is a great example of how we can build business relationships to create opportunities for our partners through our racing teams." "This is a great opportunity for a strong new partner to join the No. 2 Team Penske Ford as Alliance Truck Parts increases its presence in NASCAR," said Keselowski. "This is a natural partnership as Penske and Alliance Truck Parts are both strong transportation-based companies. We’re anxious to see the prominent yellow No. 2 Alliance Truck Parts Ford Fusion on the track this year." 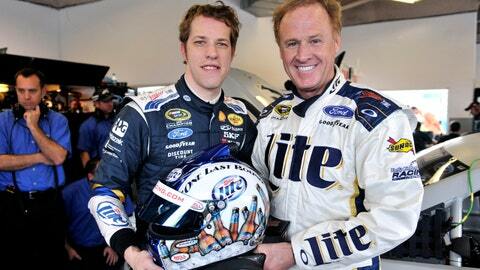 Miller Lite, which has been the primary sponsor in NASCAR of Penske’s flagship No. 2 car since 1991, is cutting back this season and will be Keselowski’s primary sponsor in just 24 of 36 points races.